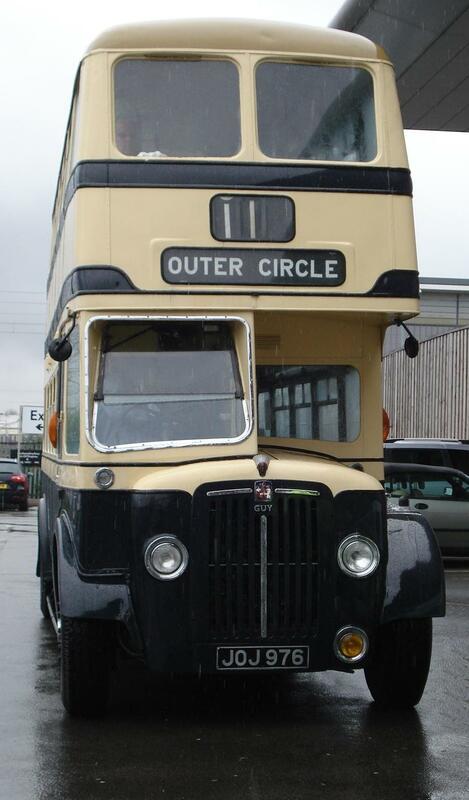 In September we are planning two opportunities to ride around Birmingham’s famous Outer Circle bus route – the Number 11. With the help of the Transport Museum at Wythall we are using a 1953 Birmingham City Transport double deck bus in its recognisable Blue & Cream livery to take us around the Outer Circle. Each tour can be joined at 10:30 at the Transport Museum and we will set off around the Outer Circle from Sarehole Mill at 11:00 am. We will all be able to enjoy the sights and sounds of the outer reaches of the Second City and hear a audio commentary about some the areas through which we are passing. Half way round we will stop off at the Tesco store in Witton where we can all make use of the facilities and enjoy a cuppa, or even a plate of fish & chips! We will be ending the tour at Sarehole Mill and should be back at the Transport Museum by 3:00pm. We will be raising money for three local charities: the Transport Museum Wythall, The Queen Elizabeth Hospital Charity and the Birmingham Conservation Trust. To join us please get in touch by calling 07405 849192, or sending an email to OuterCircleBus@gmx.co.uk. the cost is just £17.00 each. This entry was posted in Historic Bus Tours, Historic Bus Tours for 2013, Outer Circle Bus Trips, Wythall Transport Museum and tagged 1950s Birmingham Corporation Double-Decker, Birmingham, Birmingham Bus, Birmingham City Transport, Blue & Cream, booking, BRUM, Bus Tour, Buy tickets, Charity, Guided Tour, Guy Arab IV, Historic Bus Tour, I want to sit upstairs at the front, old buses, Outer Circle, Outer Circle Bus, Ride the Outer Circle, Sarehole Mill, Transport Museum at Wythall, Vintage Bus, Vintage Bus Trip, Wythall Transport Museum. Bookmark the permalink.